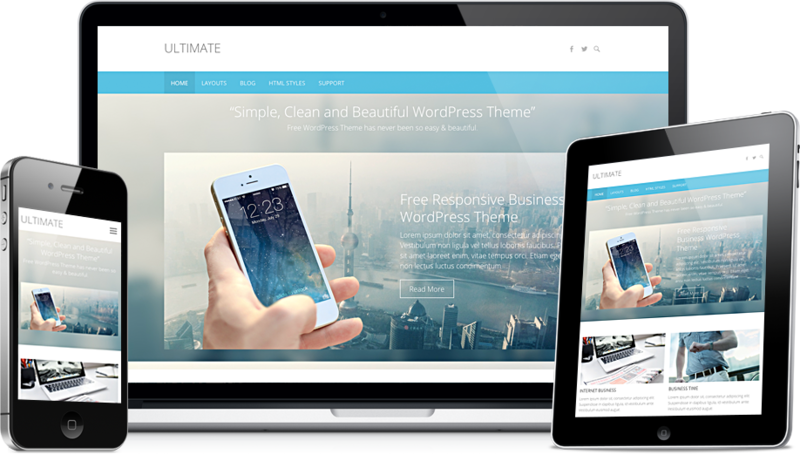 Ultimate is a Simple, Clean and Flat Business Responsive WordPress Theme. It is easily customizable with numerous theme options. Some of the highlighted options are two site layout (Narrow and Wide), 4 layouts for every post/page, 5 Page Templates, 7 widget areas, 5 custom widgets, featured slider to highlight your post/page, 10 social icons, bottom info bar to hightlight your contact/email/location and skype. Also has custom background, header, menu, favicon, CSS, webclip icon, and logo. Supports popular plugins like Breadcrumb NavXT, WP-PageNavi and Contact Form 7. It is also translation ready. Need more features? Upgrade to Ultimate Pro! Here comes the Pro version of our theme Ultimate with many amazing features as per our user’s suggestions and request. Have a look, what’s new on Ultimate Pro.